Our professional detailing service ensures your vehicle looks and remains beautifully presented inside and out. Regular detailing is especially important for those hard to reach places such as the roof and solar panels – which need to be clean to work efficiently. Prices start at $120 for a wash, window clean and tyre shine. 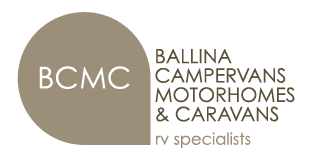 For more information on our Detailing Service call (02) 6681 1007 or email service@bcmc.com.au.